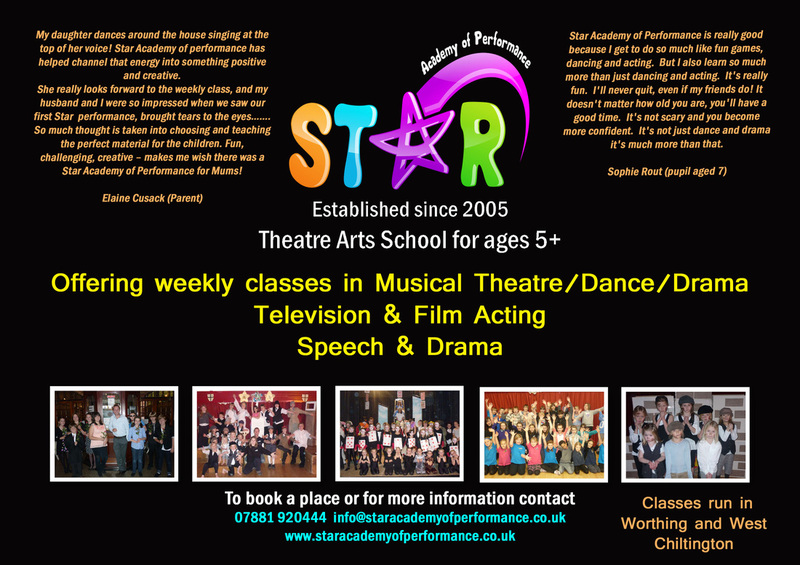 STAR Academy of Performance runs weekend Musical Theatre classes, Film acting classes, after school Drama work-shops and one to one private lessons in singing and speech and drama. 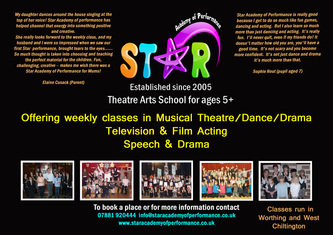 Please visist www.staracademyofperformance.co.uk for times/fees/venues. Has your child attended The STAR Academy? STAR News flash: Due to demand we will be starting a second Film acting class for ages 12-15, starting in September. Book your place now! !